"Over 20 bloggers have shared their personal experiences, provided sleep resources, and outlined tips for helping children, teens, and parents find sleep. This incredible group of bloggers have experience with many different invisible special needs, such as ADHD, anxiety, sensory processing disorder, and autism. There’s something for everyone!" I have to say this is my favorite edition so far. I loved reading everyone's experiences, especially the older kids. It gave me an idea of what's in store. I also picked up some great tips and techniques. Not sure if it will work but it's all about trial and error with our kids. Hope you all have a good night's sleep tonight! 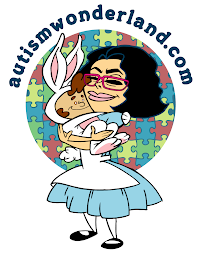 Lisa Quinones-Fontanez presents This Bed Ain’t Big Enough for 3 posted at Autism Wonderland. Prior to becoming a parent, Lisa had many ideas, “One of my ideas was: I would not let my child sleep in our bed.” Discover why Lisa has changed her belief on this idea and what her evenings often look like.